A smart home integrates everything from entertainment to environment, allowing you to control it from one single source. A handheld remote. A wall touchpad. Online from a laptop from the office. Or a beach in Hawaii. 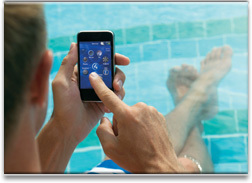 We'll design the perfect home automation system, all controllable from one easy-to-use interface. What can a smart home do? Wake you up in the morning, turning up the heat and lights. Text you when you teenager gets home from school. A smart home lets you start a movie on one TV, pause it and continue watching it in another room. Program music in any room. Or different music in every room. Then it turns itself off at night — shutting down lights, lowering the thermostat and arming the security system. The latest high performance audio and video systems, cost effectively packaged or custom designed to deliver the ultimate home theatre. 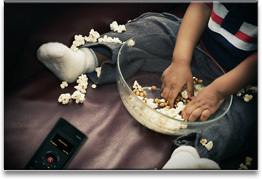 Program and deliver music and video to any room in your home. 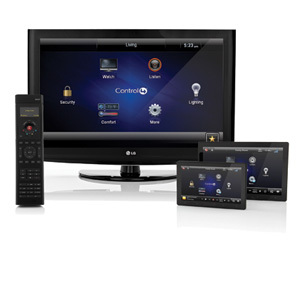 Control lighting from any switch in your home or from a single panel or touch screen. Wirelessly. Also, pre-program special settings, operate motorized window blinds and covers. Easy and affordable. We make automated temperature control simple for a very reasonable price. Our wireless thermostat can add two-way climate control functions to any device in your home, including the TV and the web. 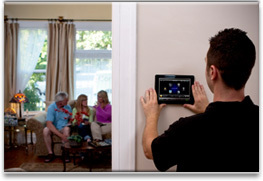 We offer sophisticated integrated protection systems that work with any or all of your home's other connected features — climate control, lighting and entertainment systems. Check your vacation cottage from your laptop. 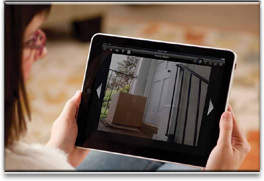 Video surveillance cameras can keep you in tune with what's going on and sensors can alert you to intruders.